Rab EZLED Series LED spotlight fixture in bronze color, features die-cast aluminum construction and polyester powder-coatings for high durability. High powered narrow beam LED spotlight fixture featuring vacuum-metalized specular thermoplastic reflector, has three 26-Watt LED lamp to offer 6357-Lumens of light output. The 68-CRI lamp has a color temperature of 5000K. It has voltage rating of 120 - 277-Volts. LED spotlight fixture with tempered glass lens, has power factor of 0.99. It measures 11.4-Inch x 9.5-Inch x 15.6-Inch. Spotlight fixture in polyester powder-coated finish, supports slip fitter mounting for simple and easy installation. 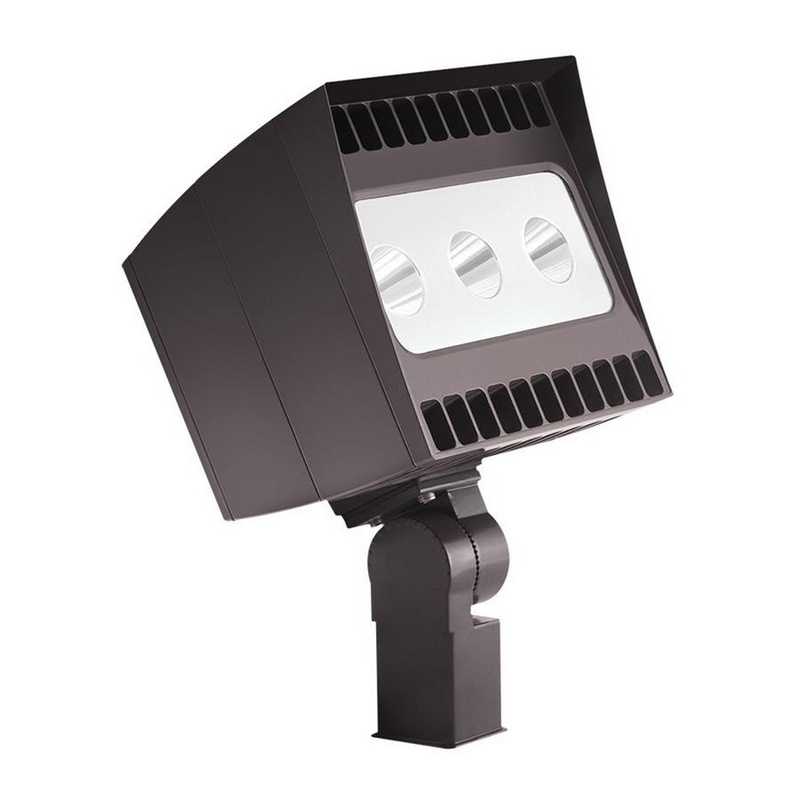 It withstands ambient temperature rating of 40 deg C and requires minimum starting temperature of -40 deg C. This LED spotlight fixture has IP66-degree of protection to protect from dust and water ingress. LED spotlight fixture UL listed.